As James Bay prepares the release of his debut single, Hold Back The River, the Hitchin based artist returns to offer a gorgeous live rendition for Transmitter Live. Admittedly already huge fans of Bay's work since first appearing on my radar with his captivating track 'Let It Go', this latest effort goes to show just what some hard work can transcend to in terms of quality. Having mastered his sound on the live circuit doing things the good ol' fashion way - discovered through a fan uploaded video on YouTube whilst playing in a Kentish Town pub - his live performances are something that really need to be seen, the above clip demonstrating just why so as he delivers a pitch-perfect performance. 'Hold Back The River' EP will be released November 24th through Virgin EMI. 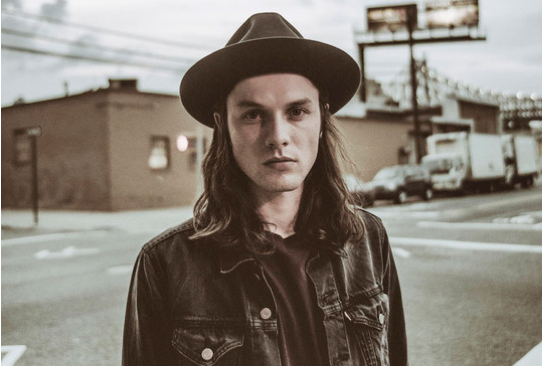 James Bay will embark on a full UK tour next Spring including a headline show at London's Shepherds Bush Empire. Full details are listed below. Tickets are available from www.jamesbaymusic.com and are priced at £13.50 except London, which is priced at £15.50.